Volunteer Park is full of drawing inspiration! I plan to go back. 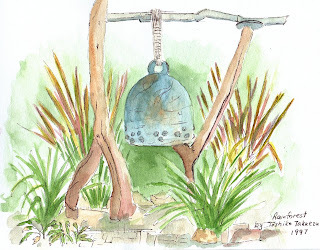 This bell, titled "Rainforest" can be found in the Conservatory. lovely work, Peggy! Thank you for hanging out even longer in your car to paint that water tower, it's gorgeous!